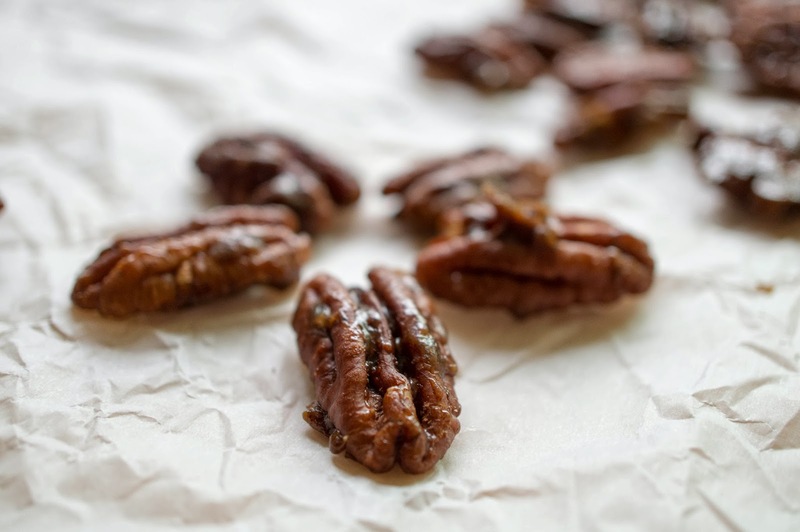 I’ve made maple pecans before. This time, we’re adding spices! It’s still super easy. 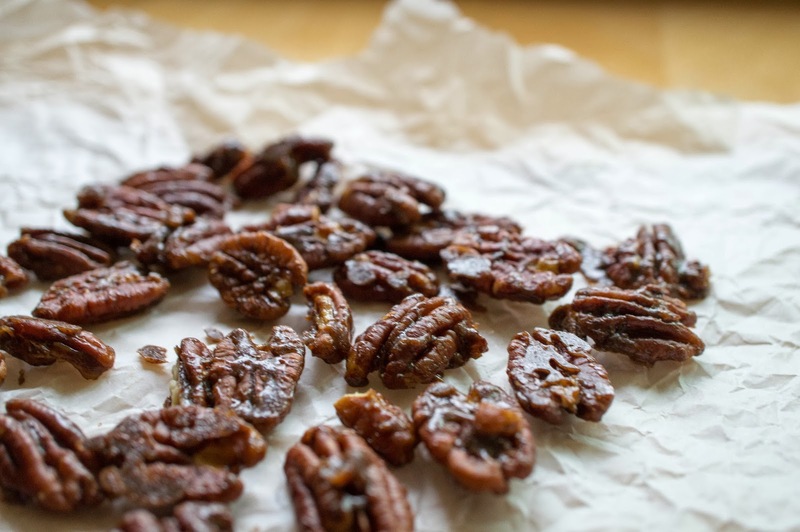 Spicy maple pecans will be yours in 5 minutes. It would be silly not to make them. Mix together salt and all spices in a small bowl; set aside. In a non-stick frying pan over medium heat, place pecans and butter. Stir until butter is melted and pecans are coated in butter. Add spice mixture and stir just until pecans are evenly coated. 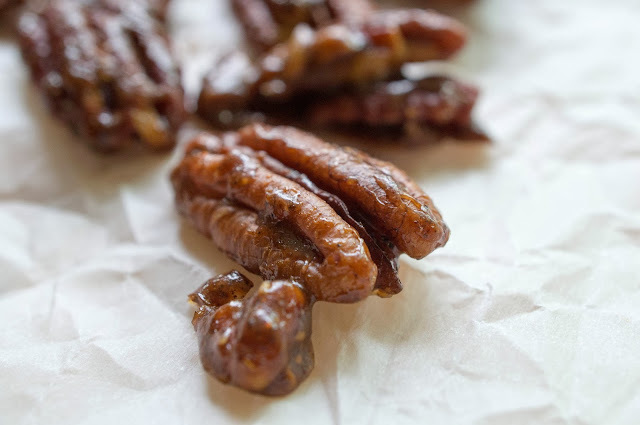 Pour in maple syrup and stir until pecans are toasted and syrup thickens and coats the pecans (about 3 minutes). Dump out onto a piece of parchment paper, trying to separate the nuts a bit, and let cool. When cool, break apart any chunks and store in an airtight container for snacking and baking needs.